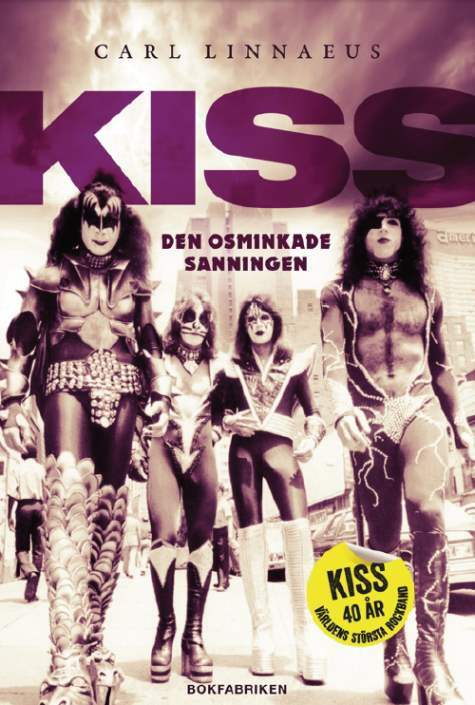 Swedish music journalist Carl Linnaeus is working on a biography about rock giants KISS, called "KISS - Den osminkade sanningen" (KISS - The Naked Truth). Due to be released in Sweden in May, the book is a tribute as well as a critical account of 40 years of rock history, through the ups and down. New, never before heard stories and information will be revealed! Carl has followed the group for many years doing cover features for Sweden Rock Magazine. In addition to all meetings with the band members, the story is based on many long interviews with people close to the group. Managers, producers, ex-wives, roadies, past members and session musicians, alongside Carl’s vast knowledge about the group and its history, makes this an exciting and interesting read for any fan of rock ’n’ roll and the American dream.